We’ve provided some frequently asked questions and answers for those who are in need of assistance with expat tax services or just simply need some clarification on the topic. Do I Have to File US Tax Returns if I Only Have Foreign Income? YES. US persons, defined as US Citizens, Green Card holders and persons that meet the substantial presence test must file US tax returns no matter where they live and work in the world. And if you are not current with your US filing obligations, there are two reasons you should file now. The first reason is the implementation of the Foreign Account Tax Compliance Act (“FATCA”). The second is the expansion of the tax amnesty program called Streamlined Filing, for non-compliant US taxpayers to get current.  Why Should I Use Williams & Parsons for My Expat Tax Preparation? You have many choices but please consider us. We are true experts in the field, all of our professional staff are CPAs and we truly specialize in expat taxation. We also do all of the work in-house, we do not subcontract to networks of poorly supervised contractors. Our staff is stable and you can count on working with the same people over the years. I Live in a Country with an Income Tax; Will I Be Taxed Twice on My Income? Under most circumstances, you will not be taxed twice. The US provides several remedies to eliminate double taxation, including tax credits, income exclusions, and tax treaty benefits. A US Citizen residing outside the US may qualify for the Foreign Earned Income Exclusion on earnings from employment. In addition, you can claim a credit against your US tax liability for taxes you paid to your resident country. In many cases, the credit will be enough to eliminate any US income tax liability. As a practical matter, most of our clients that reside in income-taxing countries find that they owe no US income tax, in most years. You must file your US income tax return by April 15th of the year following the taxation year. However, if you reside outside the US, there is an automatic extension of time to file to June 15th. If you can not file by the above due dates, another extension can be requested (without submitting a specific reason) until October 15. Note that an extension to file the return is not an extension to pay any required tax. If you think that you may owe US tax, it is prudent to estimate that tax and pay the amount prior to April 15. Of course we are available to help with that estimation process. The US Government has recently stepped up its efforts to inform US Citizens living abroad that they might have both income tax and other informational filing requirements. As part of the US government’s offshore initiatives, the US enacted FATCA in March 2010. FATCA targets tax evasion by US taxpayers using foreign financial accounts. FATCA accomplishes this goal by establishing reporting requirements on both US taxpayers and Foreign Financial Institutions and imposing significant penalties to enforce compliance. First, FATCA requires non-US financial institutions (or governments acting on behalf of the financial institutions) and certain corporations to report accounts held by US persons to the IRS. This is significant: For the first time in history, the IRS will have financial account information (account balances, name of bank, account number and US Social Security Number) on US Citizens’ foreign accounts. To date, over 77,000 foreign financial institutions and over 80 countries have signed agreements with the IRS to comply with FATCA. On February 5, 2014, Canada signed an agreement with the US to provide the information required under FATCA. The agreement with Canada stipulates that Canadian financial institutions will report directly to Canada Revenue Agency, which will then submit the data to the IRS. US taxpayers who have foreign financial accounts that meet minimum thresholds are required to report these assets on Form 8939, Statement of Foreign Assets, to the IRS. A single US taxpayer that lives outside of the US will meet the reporting requirement when the total of all their foreign financial account balances exceed $200,000 at the end of the year. Please note that there are different threshold amounts for US taxpayers that live in the US and for taxpayers that file joint tax returns. The penalty for not filing Form 8938 starts at $10,000 and increases to $50,000 if the return is not filed after the US taxpayer has been notified by the IRS. Essentially, Form 8938 is a duplicate of the well-known FBAR, Form 114. The FBAR is filed with the Department of the Treasury, FinCEN, while form 8939 is filed with the US taxpayer’s annual tax return to the IRS. The FBAR is required to be filed annually any time a US citizen has greater than $10,000 in foreign bank accounts at any time during a year. The requirement to file an FBAR can be triggered, for example, by having a deposit of $10,001 for only one day or by having 7 small accounts that aggregate over $10,000. The FBAR is required whenever you have authority over financial accounts (not necessarily ownership). So if you sign on a company’s non-US bank account, you probably have an FBAR requirement. Note that neither the form 8938 nor the FBAR impose a tax on these accounts. Both forms just disclose information to the IRS and the Department of the Treasury. FATCA changes the game. Prior to FATCA, a US Taxpayer that lived outside of the US and had no US source income could easily escape notice from the IRS. Now, the IRS, will for the first time, receive information on US persons with foreign financial accounts that have a balance over $50,000. For many US persons, 2015 will have been be the first time that the IRS knows that they exist. How Long Will it Take to Prepare My Return? In most cases we turn around our work in under 2 weeks. Do You Use Outside Contractors to Prepare Returns? We do not outsource our work; our clients prefer to work with an established professional firm that stands behind their work and is available year after year. We understand that the issues of tax compliance are critical to the financial well-being of our clients. We are a US CPA firm with a staff of knowledgeable professionals. We can assist with your tax, accounting and financial planning over the long term. Our goals are to provide our clients with long-term financial and tax planning advice. We also provide our clients with up-to-date guidance regarding US Reporting and Tax changes. We focus on the needs of US citizens living abroad and our goal is to establish long-term mutually beneficial relationships with our clients. We are one of the few firms that are truly experienced in the issues relating to US expatriates. Thinking About Renunciation of Citizenship? With the increase in US tax enforcement and the media attention it brings, many expats ae considering renouncing US citizenship. The hassles of US tax compliance make renunciation attracting, but think of the following cautions as well. Once you renounce your US citizenship, it is impossible to get it back. Is Travel to the US IMPORTANT? After renunciation you may need to obtain a visa to enter the US, and visits may be limited to 120 days or less. In order to renounce, you must first obtain citizenship status in your resident country. However, this doesn’t mean it’s simple to travel back to the US—it can be more difficult, depending on your country of citizenship. Many expats are attempting to renounce their citizenship. That has created backlogs in many places. Obviously the US government does not see this issue as a priority and is not staffing up to handle the demand. As a result there are long wait times in many places. You Have to be Current with US Tax Obligations to Renounce. In order to renounce, you are required to present proof of at least 5 years’ worth of tax compliance. If you are not currently up to date on your taxes, you’ll need to file your returns before you renounce. You may be subject to an exit tax if you are what’s considered a ‘covered expat’. A covered expat is generally quite wealthy—please look on the internet for current limits. The fee to renounce to $2,350. This does not include the legal or other professional fees you might incur. If your net worth or annual income exceeds the IRS thresholds, you might incur an exit tax imposed by the IRS. No matter if you choose to renounce or retain your US citizenship, you will still need to remain compliant with your US tax obligations. Many US citizens that are not complaint with their US obligations view renunciation as a way out of the system. As we have stated above, that does not work—you must be complaint to renounce. Also with the current tax amnesty program (Streamlined Filing) it has never been easier for expats to become compliant.